For a holiday in the sun that the whole family will love, head to uMhlanga on the idyllic coastline of KwaZulu Natal. Whether you are planning on living it up in 5-star luxury or you are looking for a self-catering apartment right on the beach, we have a selection of uMhlanga’s top accommodation for you to choose from. Take a look below to discover the right accommodation choice for your needs. Choose Garden Court uMhlanga if you are looking to really wind down in comfort or you need a space to relax while on business. The hotel has a pool, complimentary WiFi and a great on-site restaurant. If you’re here for work our hotel also has workstations and conferencing facilities. So escape or stay productive…the choice is yours. If you want to make the most of the uMhlanga sunshine, then choose one of our great resorts. 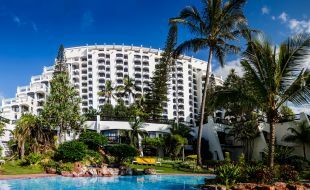 With palm tree fringed outdoor pools, kid friendly activities and easy access to the beach, both uMhlanga Sands Resort and Cabana Beach Resort make the perfect destinations if you want to top-up your tan poolside or enjoy the warm Indian Ocean with the kids. 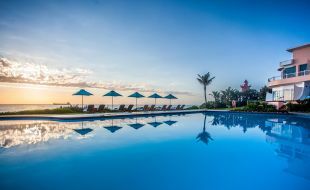 Our luxury uMhlanga hotel is a holiday destination in its own right. At Beverly Hills it’s a combination of stunning views, elegant décor and an endless list of thoughtful extras that make it so special. Enjoy a gourmet breakfast in bed, a classic cocktail poolside, refined dining at The Sugar Club and extra touches like in-room Nespresso machines, flat screen TV’s, deeply comfortable beds, fluffy white bath robes and much more – it’s time to enjoy some guilt-free indulging. Whether you’re travelling as a couple, with the family or as a group, and you’re looking for a little extra space and freedom, then self-catering could be just what you’re looking for. Our two resorts, uMhlanga Sands Resort and Cabana Beach Resort, include the option of semi self-catering units that give you all the benefits of a spacious beach side apartment with the added convenience of hotel amenities included in the price. These self-catering units include a range of kitchen amenities so it’s up to you whether you head to the on-site restaurant or prepare something in the comfort of your room. Read more about our self-catering accommodation in uMhlanga. Iconic in every way, Beverly Hills in Umhlanga has a history spanning 50 years. Providing hospitality in a Mediterranean-style home-from-home environment, and with only 89 rooms (each sea-facing, with a private balcony overlooking the heated pool and Indian Ocean), this hotel stands apart. Two top eateries, catering to different tastes, add to its reputation. 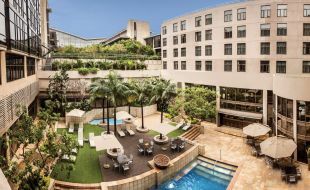 Within uMhlanga’s Gateway precinct and a ten minute drive from King Shaka International Airport, Garden Court uMhlanga offers convenience to holidaymakers and business travellers alike. With a beautiful courtyard, city or sea-facing rooms to choose from, and conference rooms that can accommodate up to 180 people, the hotel sees to a multitude of requirements. 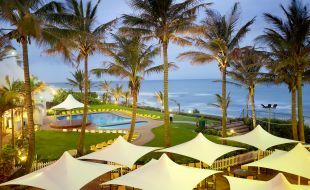 Perfectly positioned on the Umhlanga beachfront and with all rooms sea-facing, Cabana Beach is a warm and popular destination for families visiting the KZN North Coast and offers fun-filled family activities all-year-round. With self-catering accommodation available (with fully-equipped kitchens), two swimming pools and three restaurants, there are many reasons for its popularity. Enjoying pride of place on the uMhlanga promenade, Umhlanga Sands is a perennial favourite with families. With sea-facing accommodation provided through semi self-catering 4 - 6 sleeper units, three restaurants, a salon, swimming pool and outdoor entertainment area and childcare facilities, the hotel lends itself to stays full and relaxing. 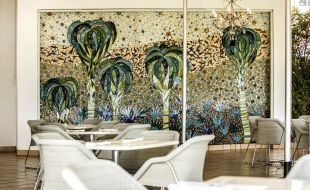 With its trendy blend of aluminium and marble, statement chandeliers, comfy couches and stylish chairs, elements café bar at Beverly Hills is the place to be seen in uMhlanga. As for drinks, elements is renowned for its unsurpassed range of delectable cocktails. A superb selection of salads, pasta and seafood is available for lunches or early dinners. 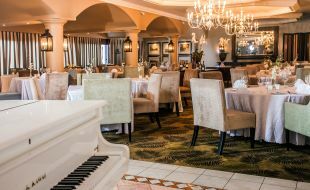 Distinguished and elegant, uMhlanga’s The Sugar Club at Beverly Hills is renowned for its consistent culinary excellence and a popular choice for celebrations. The restaurants Wine List is the recipient of the Diners Diamond Award for 2014 and 2015. Every meal is a celebration in the Sugar Club.